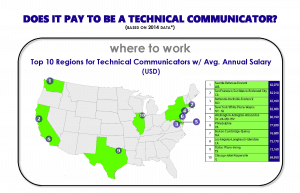 If you are a technical communicator or an employer looking to hire a technical communicator, then you need STC’s Salary Database. Each year STC produces a Salary Database based upon data from the U.S. Department of Labor’s Bureau of Labor Statistics, with exhaustive additional research ensuring that the salary data is accurate, reflects regional realities, and is useful to technical communicators. 2017 STC members will have access to a free copy of the 2015-2016 Salary Database and Excel workbook. Please check your membership confirmation, which will be emailed to you once you join or renew, for details on accessing and downloading the publication. Nonmembers may purchase the Salary Database PDF and Excel Workbook for $149 total. They can be purchased separately. Click here to purchase the Excel Workbook or PDF separately. The STC Salary Database is a tool that can be used to conduct more powerful job searches, make a strong case for a raise, or prepare department payroll budgets. The data in the Salary Database are drawn from the United States Bureau of Labor Statistics’ (BLS) Occupational Employment Statistics (OES). 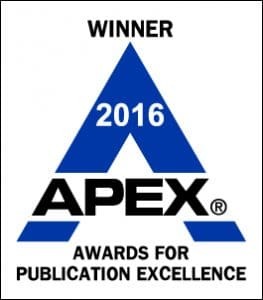 The Salary Database was the winner of an APEX 2016 Award of Excellence. APEX Awards are based on excellence in graphic design, editorial content, and the ability to achieve overall communication excellence. APEX Awards of Excellence recognize exceptional entries in each of the individual categories. What Does the Salary Database Tell Us? The Salary Database data offers insights on how the economy has and will continue to influence the demand for technical writers. With a stronger economy comes stronger job markets. In 2016, the technical communication profession continued to post some of the strongest employment gains since the 2007-2009 Recession—more than any other communications field. There is a continued importance on globalization and export markets to the U.S. economy, showing an increase in translators and interpreters. Other areas of the economy—consumer spending, business spending and investment, and government spending—are also examined in an economic overview which provides some explanation for the effects on the growth or decline of technical writer staffs in various industries. And this year, the Salary Database includes a short description of the Canadian market. Many industries with the strongest foreign demand were also among those reporting the largest net increases in technical writer employment. These include industrial equipment manufacturers, engineering and managerial service providers, and electronic market wholesalers and brokers. Demonstrating the role technical writers are playing in helping to address the “skills gap,” private sector employment services, which includes temporary help, also made the top ten industries with the largest job gains for technical writers. How Can I Use the Salary Database? Using 2015 data, the 2015-2016 Salary Database is available free to all 2017 STC members and is available for purchase by nonmembers. An Excel workbook with the original data is also available for purchase for all those who wish to be able to format the data in other ways. Because the BLS Occupational Employment Statistics, from which the Salary Database was drawn, is one of the most referenced wage guides by human resource professionals, STC members who use this tool will benefit from the same market intelligence that is relied upon when employers evaluate raises and make salary offers to new hires. The STC Salary Database not only provides firm numbers to back up fair requests and fair offers, giving technical communicators the insight they need in a tough job market, it also provides users with a competitive edge. Get the edge you need with the STC Salary Database. Check out a free member-only webinar on 9 November, 2015-2016 STC Salary Database: Utilizing the Information and Key Trends, for an overview of the results and tips on how to make the most of the publication. Participants will learn how to utilize the information in the Salary Database effectively without needing to be a statistical expert and without requiring a substantial amount of time in analysis. Additionally, key compensation and employment trends will be discussed along with their relationship to the economy as a whole.